This memoir of a difficult decade in my life documents the many steps I took to cope with only being able to imagine the growth of my grandkids. All names and locations in this book except my own have been changed. Other estranged grandparents’ stories offer ways each of us handled family situations out of our control. The journey to recover emotionally and spiritually from separation could be anyone’s. 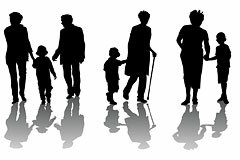 An Appendix lists organizations for grandparents in need of support and legal advice. Invisible Grandparenting provides tools for anyone to revisit and rise above situations they may have kept shrouded in mystery and shame for months, years or even decades. I am an Invisible Grandparent. I have a granddaughter that I have been kept from seeing for ten years since she was four, and a teenage grandson I can count the number of times I've seen on my hands. Writing letters helped heal the hole in my heart that not being able to grandparent caused. I wrote and saved dozens in hopes that someday my grandchildren will read them. I also wrote others I had no intention of ever sending or sharing, in order to free myself of negative energy and work toward forgiveness of myself and others. An Invisible Grandparent is anyone unable to participate fully in the lives of their children's children. We may have once played a role in a young one's life and were then blocked from it. We have tangible memories and ideas of where these children are and what they look like or may be like. Or we may not even know our grandchildren's whereabouts or even their names. No matter what your situation, you may have a treasure trove of memories you’d like to pass on. On this website you will be able to read my story and witness letters I wrote to heal my feelings about what I couldn’t control. Please comment and share your ways of leaving a legacy of love, now. Invisible Grandparents of all types and anyone who wants to pass on memories can feel less alone by telling their stories. We can Leave a Legacy for our young ones, and Take Steps to Heal any negative energy circumstances beyond our control. My way was Writing Letters. I found writing letters, to be ‘Shared and Saved’ very therapeutic. It is a way to preserve our memories, values, hopes and dreams, as well as envision a positive future for our young ones. It can give that spirit life and form, however imaginary. Here are some Writing Prompts to begin your own. Others might collect postcards, create artwork, record music or videos, outline family genealogy or archive family photos. Someday, maybe many years hence, that child will discover and be enriched by his/her heritage. It is difficult to hear other grandparents brag about their grandchildren, or witness daily events, especially holidays, when you feel left out. Some days I couldn’t suppress the disappointment, rage or jealousy or that I felt. So I intentionally wrote some letters to be ‘Said but Never Sent’. In the process I found myself releasing negative energy. By actually burning some, and engaging in Rituals to transform that self-righteous anger to forgiveness, I slowly, though not yet completely, began to heal the hurt of separation.